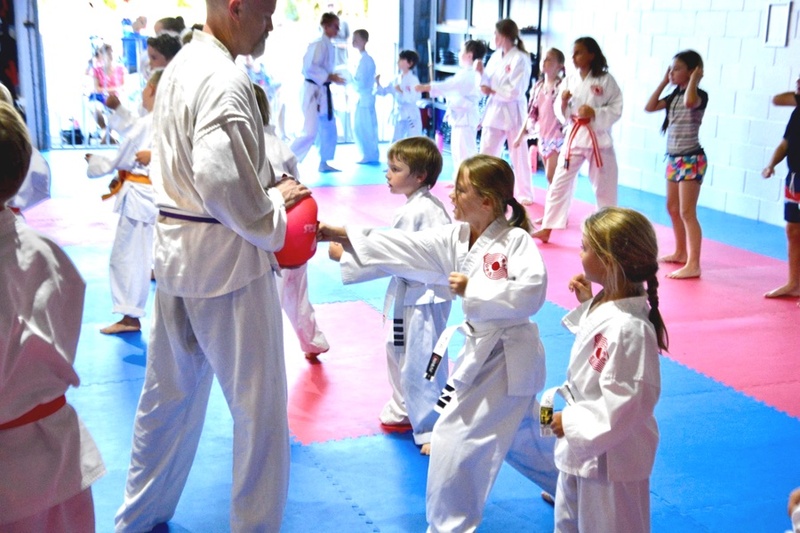 Choosing the right martial art school for yourself or your child can be a difficult task. So we’d like to help make it a little easier by giving you a picture of what it’s like to be a member of Sunshine Coast Karate. 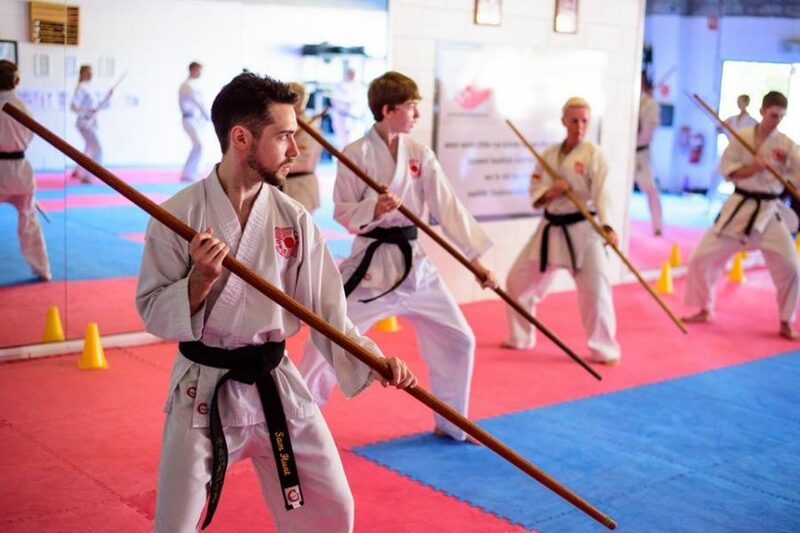 Sunshine Coast Karate Headquarters is a full-time martial arts dojo with over 25 classes per week. 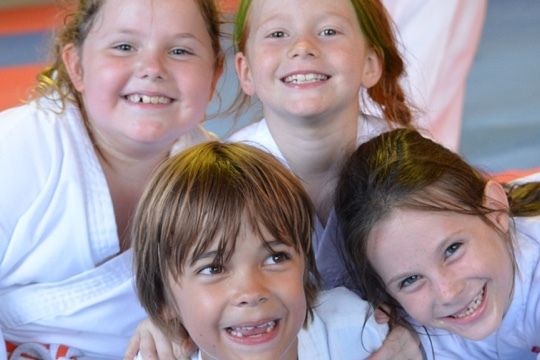 We offer a variety of age specific and mixed age classes, including: little champions karate (4-7 yrs), children’s karate (8-12 yrs), teens & adults karate and family karate classes (all ages). In addition to breaking up classes by age, we have classes for beginners, intermediate levels and advanced levels. Plus the option of early morning, day-time and evening classes. By having a variety of classes to choose from, we are able to cater to a lot diverse range of lifestyles making regular training accessible to people such as shift-workers. In addition to our full-time headquarters in Maroochdyore, we also have a branch dojo in Pacific Paradise catering specifically to little champions karate (4-7 yrs), children’s karate (8-16 yrs) & their parents. Our teaching team is lead by husband and wife team, Martin & Sandra Phillips who have a combined experience in the martial arts of over 50 years. In addition to a long history in the martial arts, Martin & Sandra have both been international medalists in competition karate. They have taught and trained overseas with many of the masters of the traditional Chito-Ryu system of Karate-do. They are both professional martial artists, meaning that teaching karate is a full-time focus rather than a hobby that they do on the side. Training at Sunshine Coast Karate will bring about positive change in all areas of your life. If you want to lose weight or get fit, we can help. If you have a child that could do with a boost in self esteem and confidence, we can help. If your family needs to reconnect by sharing quality time, positive experiences and rugged values that will help shape your life, we can help. 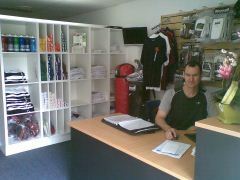 But don’t take our word for it, the dojo is full of success stories. In fact we’re so confident, that we challenge you to come in and randomly walk up to anyone who has been at a dojo for more than a few lessons and you will find a story that will inspire you into action. We have a supportive and encouraging community members who are serious about growing themselves in all areas of their lives. And we are always on the lookout for more people to share in the adventure and join us. We always make a point of asking people for their first impression when they come into Sunshine Coast Karate and overwhelmingly the number 1 response is that people feel comfortable and welcome. It’s not just our teaching team and staff that create this feeling, it’s our incredible members and supporters who have helped continue this culture within the dojo. We have an incredible training facility. 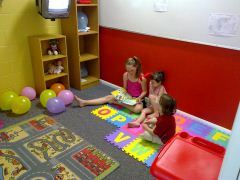 Not only do we have a great training space, but recently we expanded our facility to better take care of our members, with lounge room with live video streaming from the training space, kitchen facilities, kids play room, homework area and workspace for parents and adult members and a new club shop. The dojo is not just a place to train it’s a place for our extended karate family to enjoy. We have fun and enjoy the adventures along the way. This year (2017) we took a team of 11 to Japan for the Chito-Ryu world championships, we got some great results (6 gold medalists, 3 silver medalists and 3 bronze medalists), but it was also an experience that many of the team will carry with them for the rest of their lives. But not everyone’s into competition, so we have fun with our annual Easter & Christmas Picnics, and regular events for kids such as our Kids Night Out, family social nights and more. We are part of an international organisation with regular visits from our Supreme Instructor, Soke Chitose. In addition to bringing one of the living legends of the martial arts into our dojo, we have access to events throughout the world including tournaments, seminars, camps, and more. Chito-Ryu is a unique family style and we get to share our eperiences with other practitioners throughout the world. Our system has been growing and evolving over more than 60 years. Unfortunately, the martial arts community is very fragmented, because it seems that everyone wants to be the “Master” of their own system, as a result, the depth of knowledge in many systems is quite shallow. 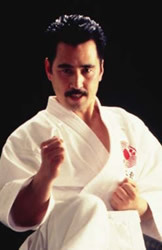 The Karate system we teach, Chito-Ryu was originally developed by Dr Tsuyoshi Chitose also known as O Sensei. 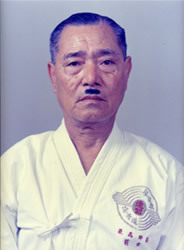 O Sensei combined an his extensive study of To-de (the Okinawan martial art out of which modern Karate evolved) under many of the old Okinawan masters. Unlike many of his contemporaries, O Sensei was also a medical doctor which cause him to adapt many of the old training methods to improve health and body function. Of course such adaptation could been seen purely as a move to make Chito-Ryu more of a form of exercise than a pragmatic self defence system. And this could be the case if it was not for the fact that O Sensei was renowned for his fighting ability which he honed in field combat challenge matches, known as kakedameshi. It was as a result of this that in his early years in Okinawa he got the nickname, “Challenging Chinen”, Chinen was O Sensei’s original Okinawan family name. Even now under the leadership of O Sensei’s son, Chito-Ryu continues to evolve and become more refined as a system as the current day masters from around the world continue to add to the river of knowledge that is Chito-Ryu. Our tournament circuit is unlike any other around the world (as far as we know). Many martial arts schools these days are primarily focussed with tournaments and competition, so much so that it’s almost like that have no purpose other than to create martial arts athletes. Chito-Ryu tournaments have been very much inspired by O Sensei’s indomitable fighting spirit. In order to allow a fierce style of competition while remaining safe, O Sensei was instrumental in developing bogu kumite, which is a style of competition that utilises protective body gear and head gear. Of course competition is not the major focus of our dojo, but for those who are interested it’s a great way to test your skills and your spirit while putting yourself out of your comfort zone. At Sunshine Coast Karate, you will earn your gradings as you continue to grow both in Karate and in Life. Progressing towards black belt and beyond takes commitment and consistent effort. As a beginner, black belt can look like a lifetime of training away. Some martial arts schools give away black belts in as little as 12-18 months of training. But we know that if the journey to black belt is going to mean anything, it can’t be too easy. That’s not to say that we intentially make it difficult, but we do hold all members to the highest possible standard and expect the best from everyone. In fact, that’s why we developed our leadership program to help those who are a little further along in the journey to become great role models who support our teaching team and beginner members, giving everyone the necessary support to reach their full potential. Not all martial arts are the same. And not all martial arts schools are the same. But we want you to see for yourself, that’s one of the reasons we offer a FREE trial to all new students.